Like it or not, Rihanna is newsstand gold and whether she’s making history on British Vogue, basking in the summer sun on American Vogue or going blonde for Harper’s Bazaar, she delivers the goods each and every time. 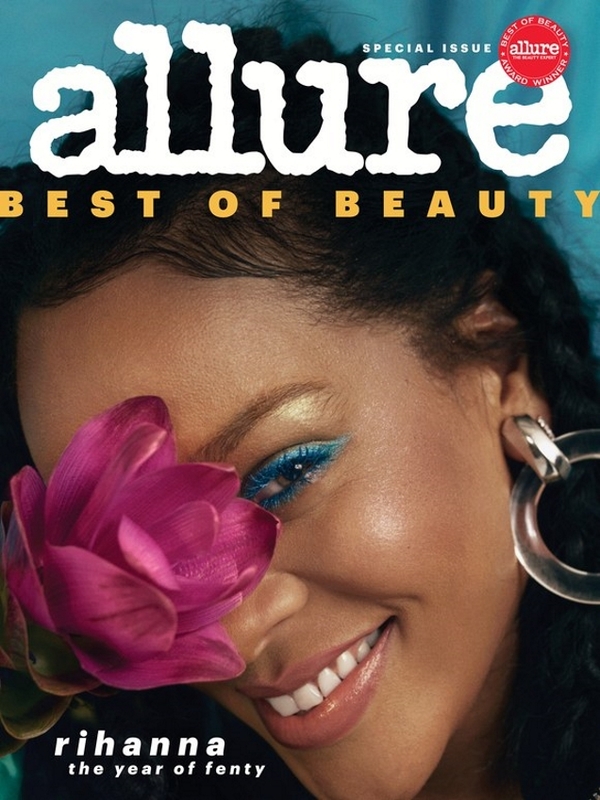 Therefore, we cannot blame Allure for making the Barbadian songstress its cover girl for October 2018. The beauty-focused publication has been doing pretty well recently, with triumphant covers featuring Bella Hadid and Lily James. The magazine’s latest is also a winner, featuring Rihanna looking effortlessly beautiful and at ease on two covers photographed byNadine Ijewere. Our forum members were immediately captivated. “What a beautiful and attractive cover for a beauty magazine. I mean… the colors,” said jeffandtheworld. “It’s a lovely picture, I love the colors. Although she may be overexposed, she’s a chameleon so I don’t mind it too much. Her covers this year have all been quite different. It’s a nice change to see her on a cover with a big smile,” favored Morgane07. “Two good covers in a row. What changed at Allure to suddenly decide they want to do good covers now?” asked SLFC. “This makes me smile! If I catch this on the newsstand I will definitely buy it, frame it and hang on the best corner of my room,” declared phungnam96. Benn98 shared the same level of enthusiasm. “The first in a sea of covers that I instantly admire! Simply gorgeous and such a natural pose. Definitely one I’ll be getting,” he said. Mepps simply described the cover as “beautiful” and we couldn’t agree more. See more from Rihanna’s cover shoot and share your thoughts with us here.